Welcome to Telangana State Chife Minister Relief Fund Online Donate. 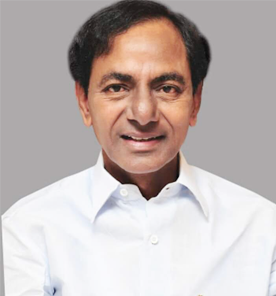 Telangana Chief Minister Relief Fund is gathered by voluntary donations from any person, NRIs, various service organizations, industrialists, artists or writers etc., and the very aim of the fund is to provide immediate relief to the people in distress. All the contributions towards CMRF are exempted from Income Tax under section 80(G).The receipt will be provided on successful donation (PAN No. AAAGC0313D). The donations may also be sent to O/o Assistant Secretary to Govt., Revenue (CMRF) Dept., D Block, 3 rd Floor, T.S.Secretariat, through Cheque or Demand Drafts drawn in favour of “Chief Minister’s Relief Fund” with permanent address along with the beneficiary details like Name and Address of the Donor, Phone Number to contact, email address and purpose of donation etc., to generate acknowledgment. Donor Category. Road accidents, fire accidents etc.